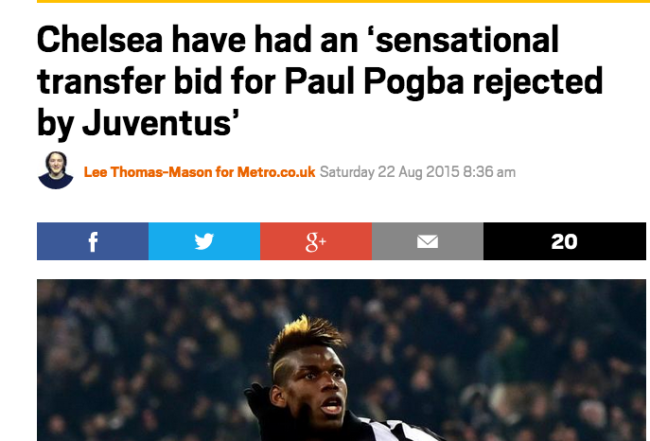 Chelsea have bought the Juventus and France star? 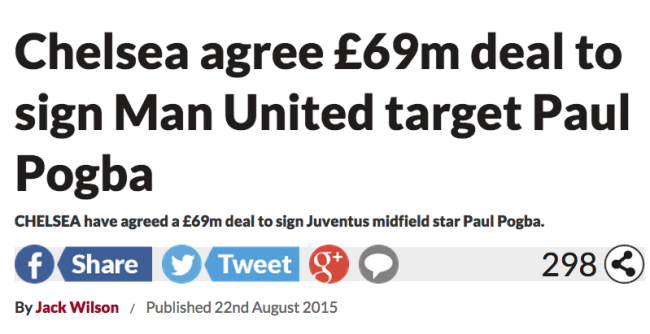 CHELSEA have agreed a stunning £69million deal to sign Juventus’ Paul Pogba. The champions made the Italian giants an offer they cannot refuse for the French midfield powerhouse. Sources say Oscar, Willian and Juan Cuadrado could be involved in a move in the other direction. Which sources the Sun does not say. 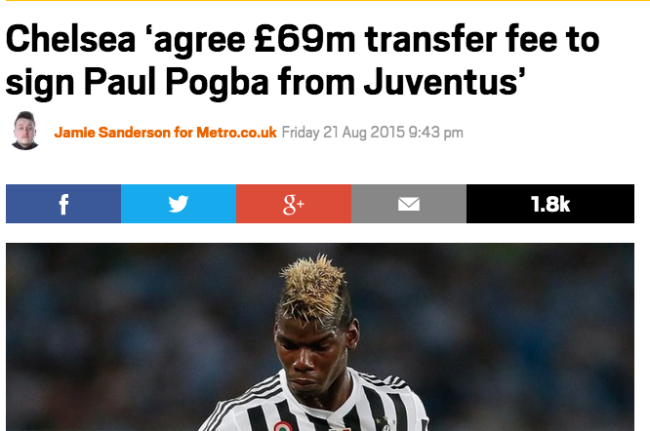 But if the transfer goes ahead on a pure cash basis, it will smash the British transfer record and make Pogba the fourth most expensive footballer of all-time. If? What happened to the offer that Juventus could not refuse? Barcelona were in pole position to sign him, with Manchester City also said to be in the running. But Chelsea gazumped everyone with a huge statement of intent from owner Roman Abramovich.